Stargazer's range of colourful synthetic wigs are available in a variety of styles to transform your look instantly. The wigs are of brilliant quality with an adjustable inner hair net which allows them to fit different head sizes. You can wash the wigs and they can be brushed in to style or cut to your desire to ensure long lasting use. * The Pulp style wig is a classic long bob style with a short, shaped fringe. * From a great range of wigs by Stargazer. 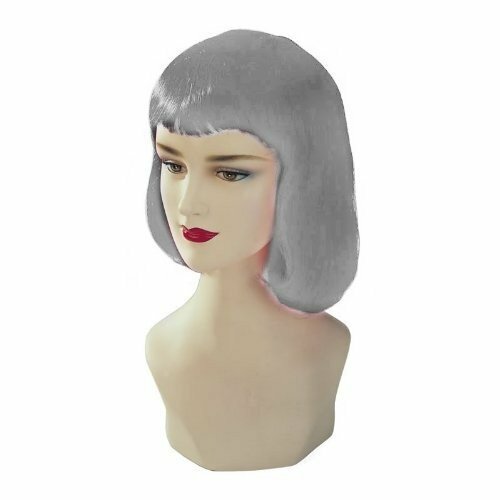 * All wigs are adjustable to fit different head sizes. * Wigs can be washed, brushed & cut in to style. * As the wigs are made from synthetic hair we do not recommend the use of hair straighteners on the product.